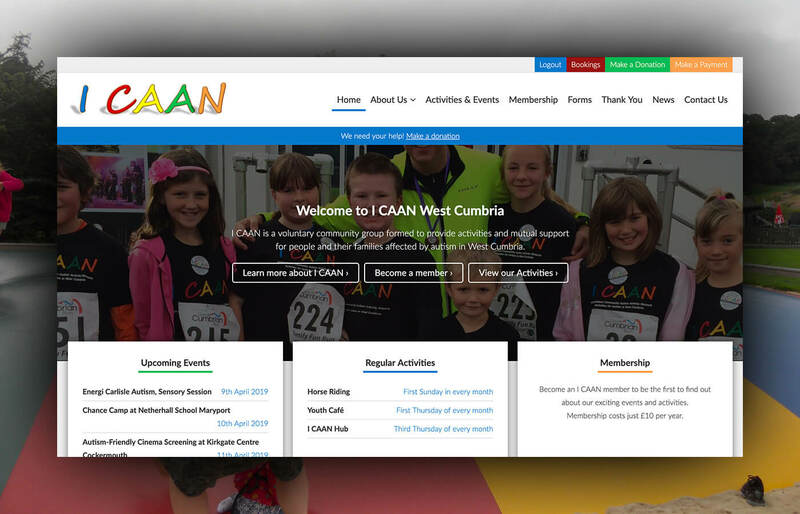 I CAAN is a voluntary community group formed to provide activities and support for people and their families affected by autism in West Cumbria. 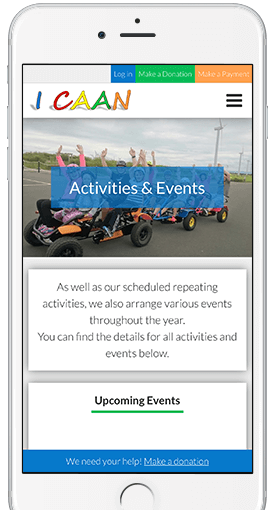 They needed their outdated website to be replaced with a Content Management System to give them a wider range of functionality and allow them to maintain their website quickly and easily. 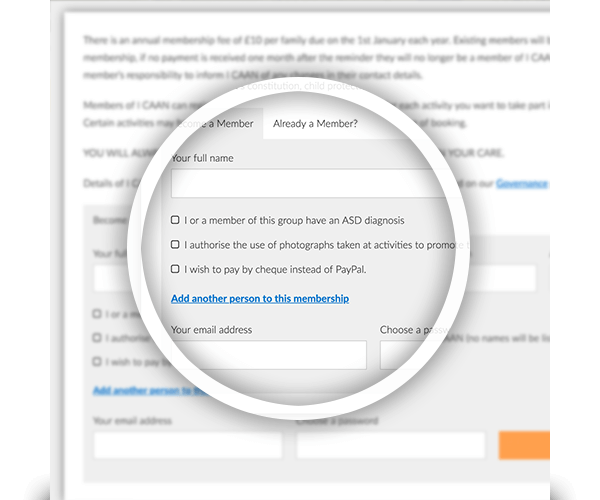 With a view to replacing cheque and postal order payments, we created an online membership system using PayPal to allow members to make their annual subscription payments easily and securely. We hope that you like what you've seen! You can now check out the website yourself, or contact us to discuss your own Web Design, Web Development, Web Hosting or WordPress Development project.